Reclamation of Turbine Oil - ! Equipment for Transformer Oil Reclamation. GlobeCore. This article will highlight the advantages and disadvantages of turbine oil regeneration/reclamation. According to the statistics, the electrical needs of North America have been significantly increased over the past several years. As a result, the companies who were in the business of serving the energy needs of Americans had to buy a great amount of new turbines or to recondition existing ones already in service. All theses changes in the power industry has aroused heated discussions regarding the condition of turbine oils. Many energy providers turned out to lack knowledge about the very lubricating oils that cool and lubricate some of their most important pices of equipment. It is therefore, the purpose of this article is to provide power suppliers with a better understanding of turbine oil regeneration/reclamation. First however, it is important to consider the specfic terms of the article. Regeneration and Reclamation, terms that are synonymous, consists in removing water and other impurities from the oil product and restoring it to “like new” condition and making it suitable for continued use. Another term often used along with “regeneration/reclamation” is refortification and consists in adding a specified amount of additive to pure and dry oil products to renew the additives that have been exhausted through use and regeneration. There are generall two kinds of oil recycling in the electrica generation and turbine industry: one is when used lubricant is transferrred and applied in other industries that require oil product with lower performance characteristics and the other is when used lubricating oils need are treated to restire the oil product to make it available for further application and use. In general, there is no difficulty with turbine oil preparation. It is essential however, to keep a proper proportion between base oils and additives since soluble contaminants can deteriorate a product’s performance characteristics or even destroy oil composition. Many energy providers consider that turbine oil will successfully perform its functions until its service life comes to an end, but that is not always the case. Very often, companies use turbine oil that barely meets the equipment requirements in order to reduce their operational costs. Additionally, such oil then is exposed to thermal and oxidative treatments that rapidly degrade its performance characteristics. Due to harsh and demanding operating conditions, oil will lose it ability over time to perform its intended function and should be changed or reclaimed every three years or when indicated by an oil analysis test. In order to regenerate/reclaim the oil, the proper equipment will need to be employed. GlobeCore is an industry leader in producing high-quality equipment for oil regeneration/reclamation in the CMM-10 line if units. The GlobeCore CMM-10 line is designed to purify and regenerate many types of fluids and oils such as as transformer oil, turbine oil, industrial oil, and dark diesel fuel. Turbine oil reclamation using GlobeCore equipment will reduce your expenditures on new turbine oil and greatly reduce your need to perform corrective maintenance. Additionally, after reclamation, the oil is much more stable and less susecptible to oxidation (does not darken or accumulate odors). It is not an overstatement to say that reclamation is an easy-to-perform procedure. Such methods as settling, dehydration or coalescence are used to remove water from oil products when different types of filtration are used to reduce the amount of contaminants. The reclamation process is considered to be highly effective in removing impurities though it is advisable to re-introduce antioxident inhibitors such as DBPC-2.6 back into the oil upon completion of the regeneration process. Refortification is a more complicated process: one should know the components of oil to perform this process properly. As it was stated above, the composition of oil should be properly balanced to ensure good performance of the product. Improper amounts of additives may destroy the composition of turbine oils and adversely affect its performance characteristics. Another issue that should be taken into consideration during the process of refortification is connected with base oils. The failure to add the wrong additives to the old turbine oil may lead to the additives being undissolved. Such mismanagement can cause and/or lead to problems. It is of vital importance to wash the units after refortification and reclamation processes are performed. Since the majority of oil purification units are mobile, the risk of contamination is significantly high. To prevent contamination, equipment owners or operators have to be well informed about possible ways of contamination and related problems. The kind of additive placed into turbine oil depends on the future application of the product. The additives in turbine oil act as an inhibitor of the sludging process and to impede and slow the oxidation process. It should be noted that performance characteristics of fresh turbine oil can be degraded by a wide range of factors. It is therefore, desirable to conduct regular oil testing/analysis to monitor the oil’s condition. If the oil analysis shows that water content level and the amountof foreign particles are over the acceptable limits, immediate measures are required to correct the problem. High levels of contaminants found in turbine oil can harm equipment and can lead to serious damage therefore, water and impurities should be removed in the course of reclamation. It is also recommended to take steps to define and remove the reasons for the contamination. If the results of oil testing show other defects, then refortification will be required required. As it was mentioned above, the process of refortification is complicated and the person who does refortification should know the composition of the oil before starting such an important job. It may be too risky to expose another provider’s product to refortification since it may include additives that are not consistent with the additives that are going to be added to refortify the turbine oil in use. It is therefore, desirable to test such oil at the laboratory to define the kind of additives that are in the oil in need of processing. It is essential to choose the proper additive and the proper concentration to add to the turbine oil composition since the additive(s) may be thicker than the turbine oil itself. It is recommended to choose equipment with an inline additive injection system that allows you to treat to the turbine oil with a slow and appropriate amount of additives. GlobeCore has developed such units in the USB line that ensure proper additive injection and allows for obtaining the correct homogeneous fuels. These units are equipped with electronic control systems and ensure precise metering of components. During the blending process in the stream mixer, the consumption of each component is carefully controlled. The product, obtained from the stream mixer, is homogenous and its component composition precisely meets the prescribed recipe. 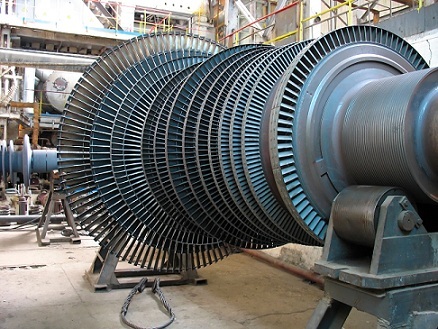 The right choice of equipment for these processes can contribute greatly to the service life extension of the turbine oil, turbine equipment and reduce your operating costs. GlobeCore is able to offer effective and “green” solutions to the problem of used oil reclamation.